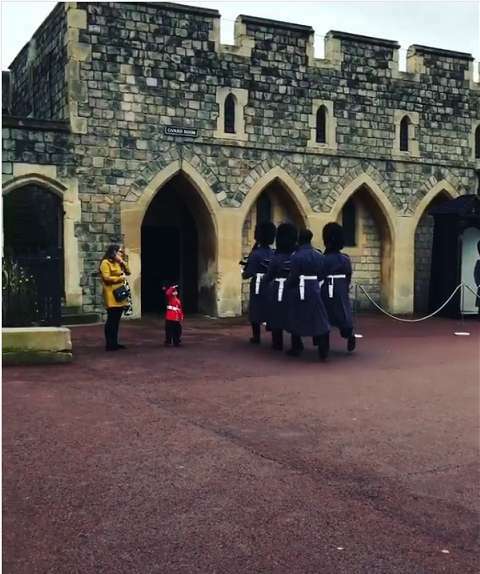 It’s not only the British royal family who has millions of fans worldwide: the Queen’s Guards have their fair share of admirers. They are well known for their exceptional discipline and loyalty. Thus, tourists who arrive at the Windsor Castle to witness them on duty are amazed by the way they guard and protect its walls. Usually, they aren’t allowed to talk to the visitors or get distracted from keeping sentry. Sometimes, though, they are happy to make an exception. 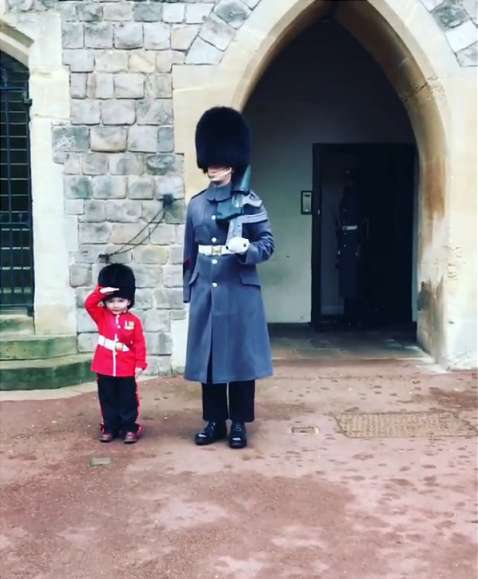 This 4-year-old fan, Marshall Scott, travelled to the Windsor castle with his mom to see the Queen's Guards. When they approached, he saluted him in the most adorable way! The boy was dressed in a replica of their red uniform, looking like a real little soldier. But no one knew what would come next! One of the officers came back to make a photo with the lovely tourist. The boy looked a bit confused at first, but when the Guard gestured for him to come closer, he certainly did. He stood right beside him, saluting again, while his mom took a picture! No one could believe it! What a sweet video, and it will make the greatest memory for little Marshall!! The Royal Guards can truly break a rule when they feel the urge! Despite being enduring and forbearing, they don’t really like people copying their walk or make fun of their hats! Just like any of us, they appreciate some respect to their serious work.